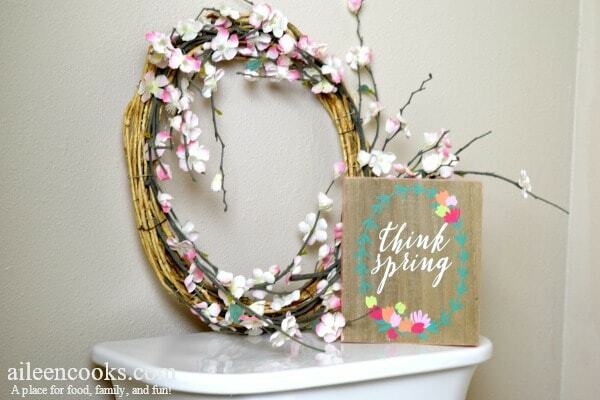 What is it about spring that makes you want to clean every corner of your house? Maybe it’s the warm weather and open windows that makes us realize we have been living in a dungeon all Winter and need to put some serious elbow grease into our homes to make them feel clean? Or perhaps it’s the promise of more parties and guests in your home? Whatever the reason, I have been thinking a lot about spring cleaning and ways we can save time cleaning, while still experiencing that spring clean feeling. After a lot of thought (and a couple of awesome cleaning tools), I have come up with a way to change up the spring cleaning bathroom routine. Specifically, the toilet cleaning routine. 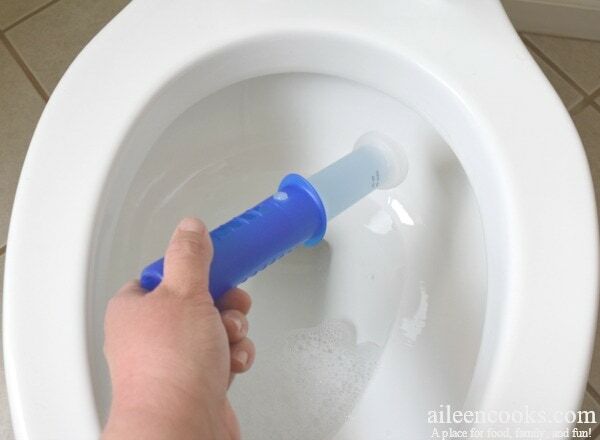 As a mom, cleaning toilets is one of my least favorite things to do – because my kids use them! And they are messy! 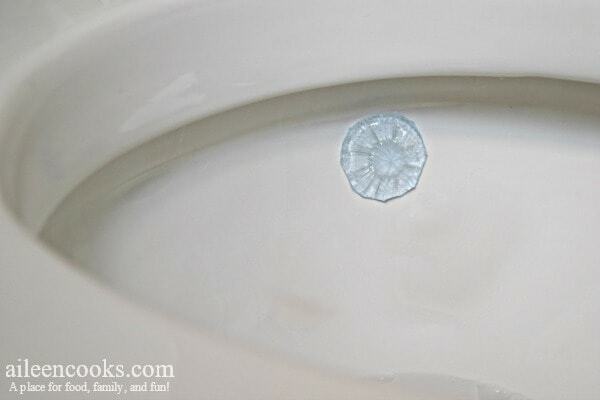 My new toilet cleaning routine is all thanks to two amazing Scrubbing Bubbles®: Scrubbing Bubbles® Bubbly Bleach Gel Toilet Bowl Cleaner and Scrubbing Bubbles® Fresh Gel Toilet Cleaning Stamps. You can pick up your own Scrubbing Bubbles® products at Walmart! With just these two products, you can save significant time cleaning toilets. They work so well together because Scrubbing Bubbles® Bubbly Bleach Gel deep cleans your toilet with a mixture of bleach and foam to make it sparkly clean. Then, the Scrubbing Bubbles® Fresh Gel stamps keep the toilet fresh by gradually dissolving with each flush, releasing a cleaning solution and fresh scent. 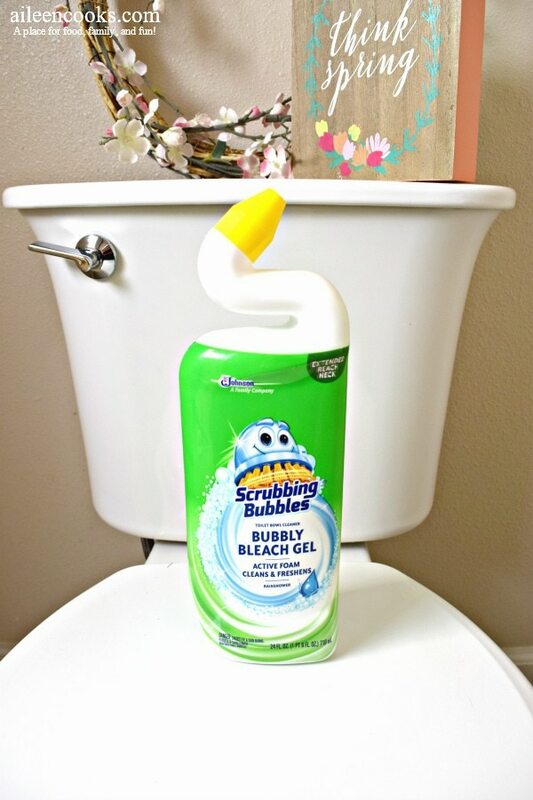 I started by cleaning my toilet with the Scrubbing Bubbles® Bubbly Bleach Gel toilet cleaner. I love that there is an actual cap, so I don’t have to worry about the cleaner leaking out when I’m not using it. The extended reach neck allows me to get all the dirt and grime under the rim that is hard to reach. I squirted it all around my toilet bowl and gave it a good scrub. Next, I applied the Scrubbing Bubbles® Fresh Gel stamp to the inside of my toilet. It was easy to do and didn’t require me to touch my toilet at all. That’s a huge win in my book. This whole process took me less than 5 minutes – including reading the instructions. It was very little work and now I can walk away knowing I will have a fresh and clean toilet for up to 12 days with my Scrubbing Bubbles® Fresh Gel stamp. Now my bathroom looks and smells clean. It’s ready for unexpected guests and extra potty breaks. Thanks to my new toilet cleaning routine, I have more time do things I actually enjoy, like binge-watching Netflix in my pajamas and scrolling my Instagram feed. Have you tried the new Scrubbing Bubbles® Bubbly Bleach Gel and Scrubbing Bubbles® Fresh Gel? What did you think? Oh my goodness! Thank you for the tips. It’s nice to know there is a way to spend more time with family, rather than worrying about keeping my bathroom clean.